Uncover a sanctuary in the bush, the Zindoga Villa. 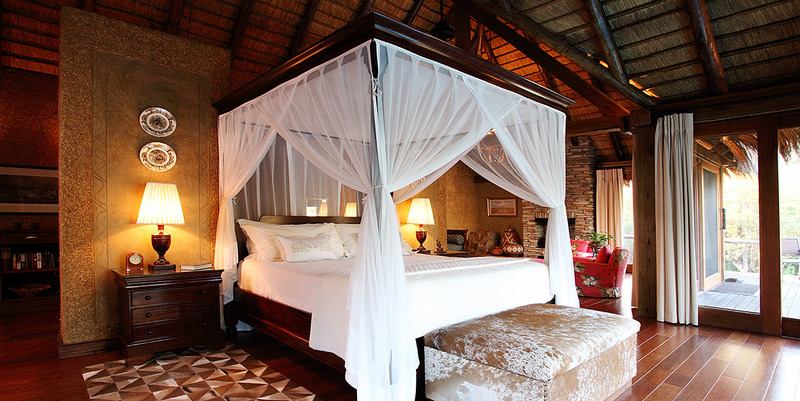 The luxury villa is situated within the fascinating Camp Jabulani set in the Kapama Game Reserve which is a family-owned and managed African luxury safari lodge in Hoedspruit. Exquisite accommodations in the bush at Limpopo Province in South Africa that is near Kruger National Park and the Drakensberg Mountain range in the picturesque Mpumalanga region. 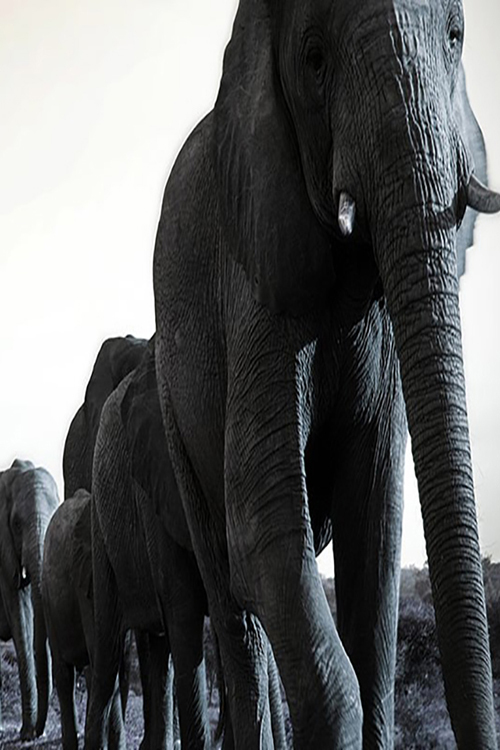 And that’s just the beginning…because the extraordinary Camp Jabulani is well known for its herd of trained African elephants. 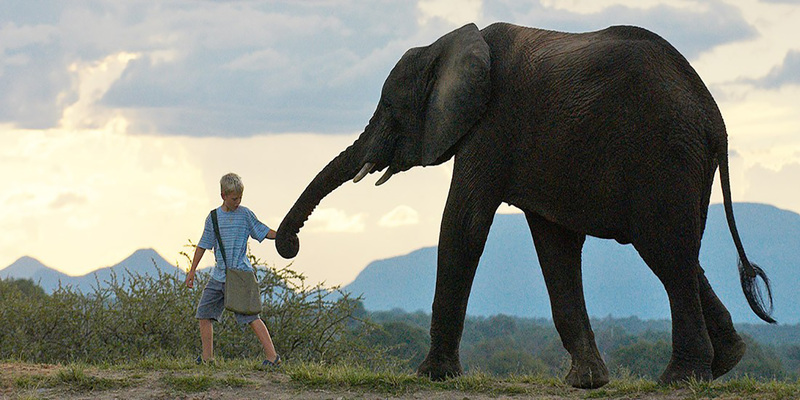 Staying at the Zindoga Villa you will see the gentle giants walking around the camp. 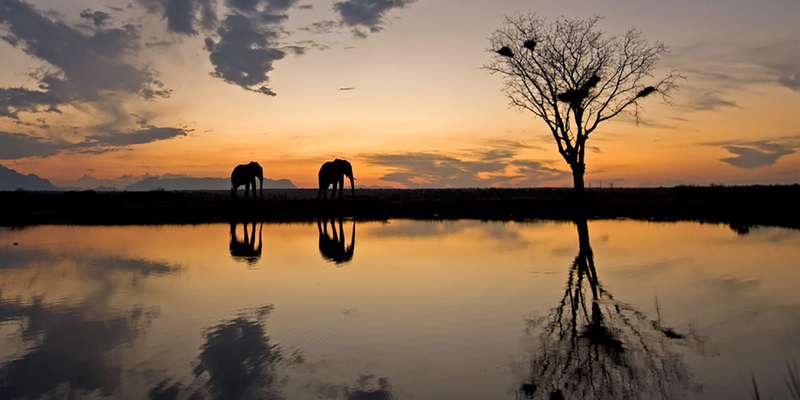 With almost 16,000 hectares of land where the animals roam, the wonderful destination in South Africa offers a taste of the wilderness as well as utmost luxury in the African bush. 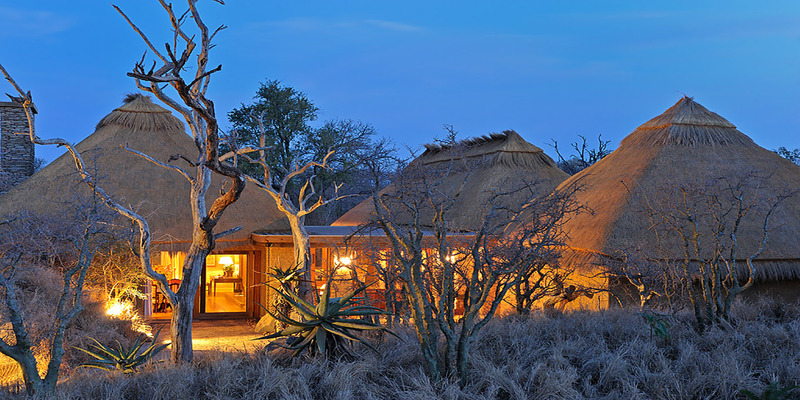 The Kapama Game Reserve is where you’ll find Camp Jabulani. 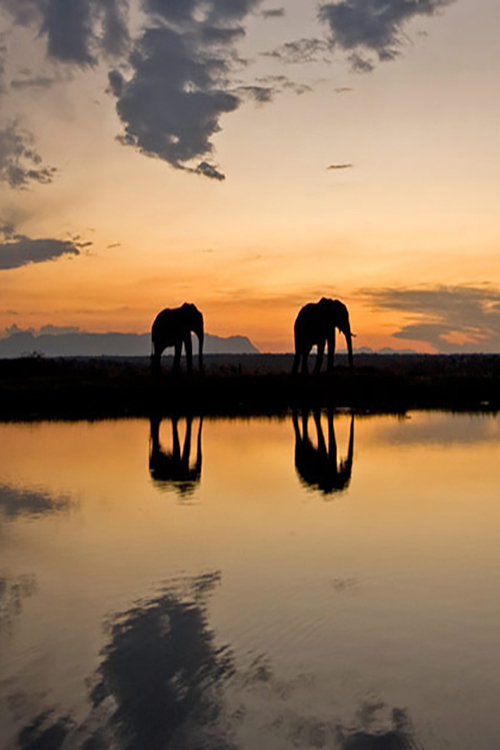 A place of lush vegetation where there is dense wildlife population, a spectacular destination for game viewing. You might want to get familiar with the elephant herd living in the camp. Meet Bubi, Fishan, Jabulani, Klaserie, Kumbura, Limpopo, Lundi, Mambo, Pisa, Samopane, Sebakwe, Setombe, Tokwe, and Zindoga. 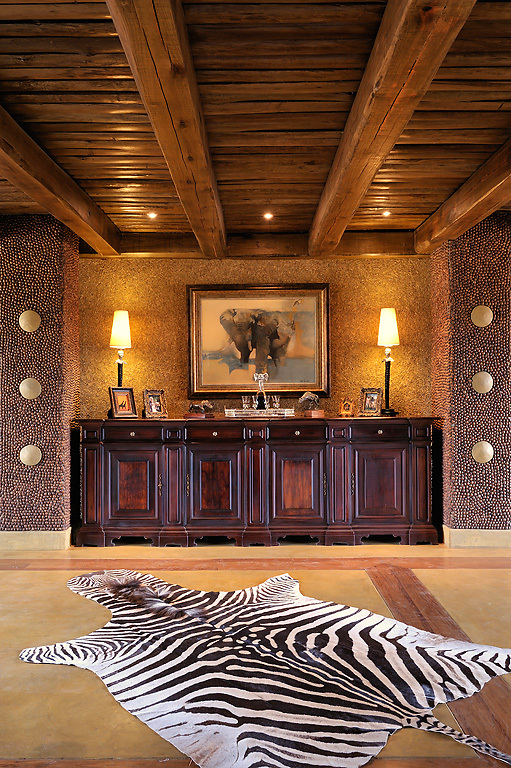 Get to know how different they all are while staying at the Zindoga Villa in Camp Jabulani. 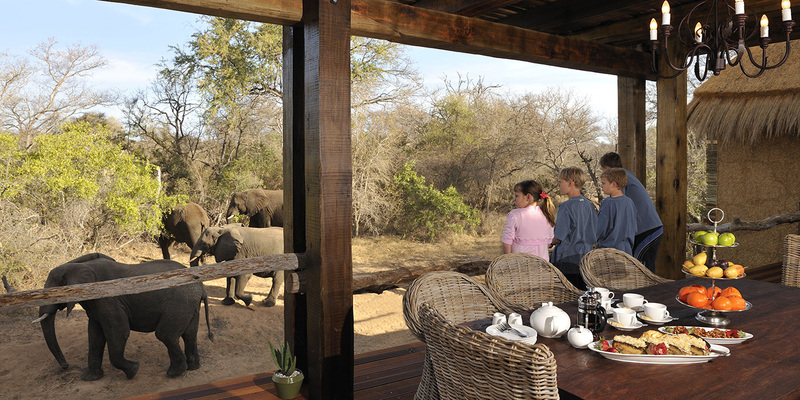 And you are going to love this, from the Zindoga Villa patio you can set eyes on the Camp Jabulani elephants as they wander around the Kapama Game Reserve. 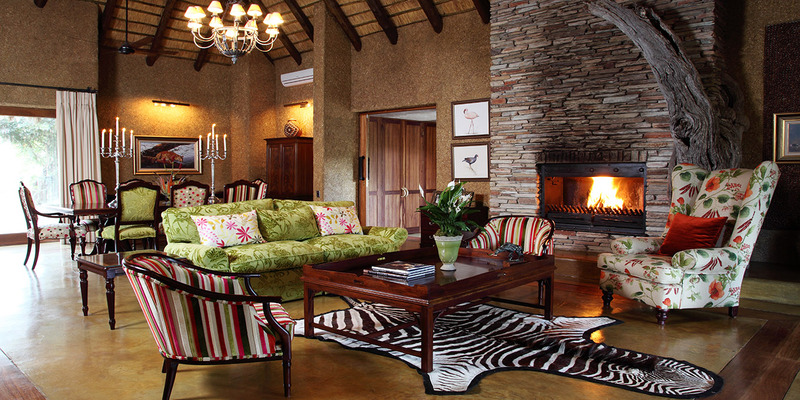 This child-friendly luxury safari lodge in Hoedspruit is for the entire family. 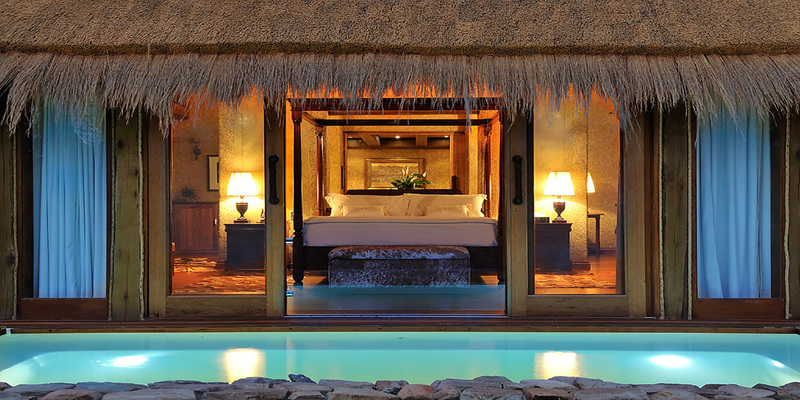 The bush luxury villa sleeps a total of nine guests. It is one of the few African safaris that offers an extraordinary Elephant Experience that includes interaction with the largest land living mammal. 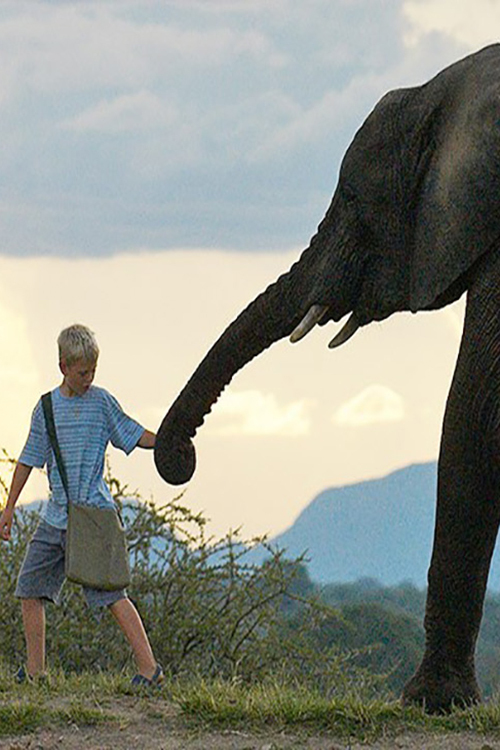 Sharing incredible moments with the elephants at Camp Jabulani is a one of a kind experience. 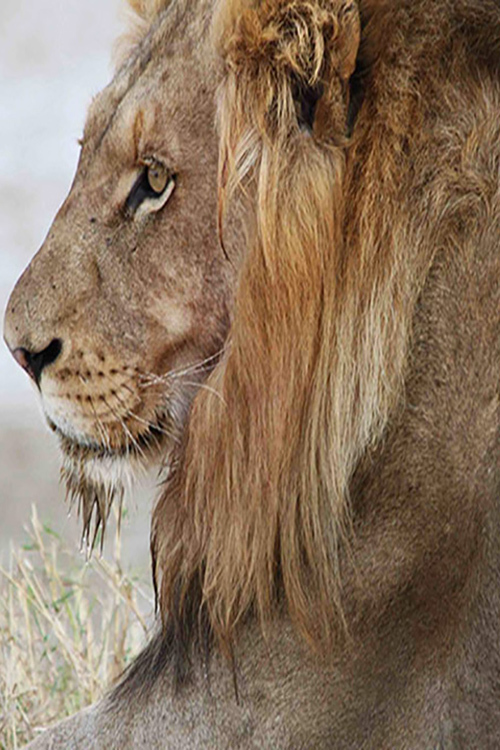 In close contact in a highly personal way, you will be humbled by their extraordinary presence and gentle nature. 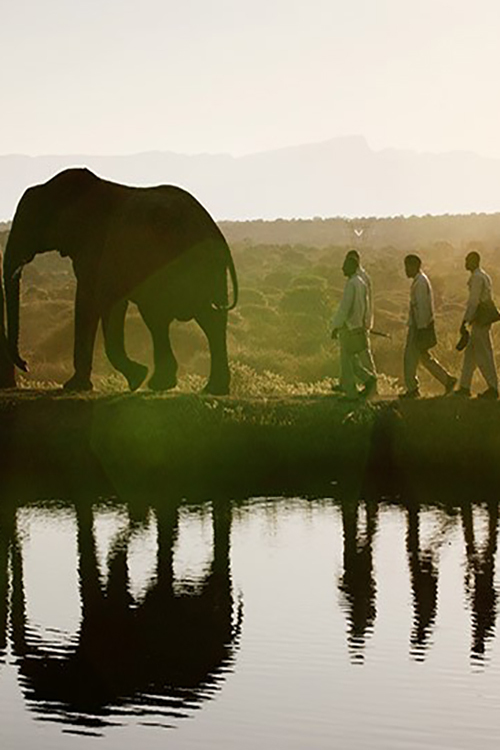 Learn about the elephant herd, their individual stories, and the grooms taking care of the elephants throughout the years. You’ll also find it enriching to observe the huge animal in its natural habitat and to interact with the massive creature. 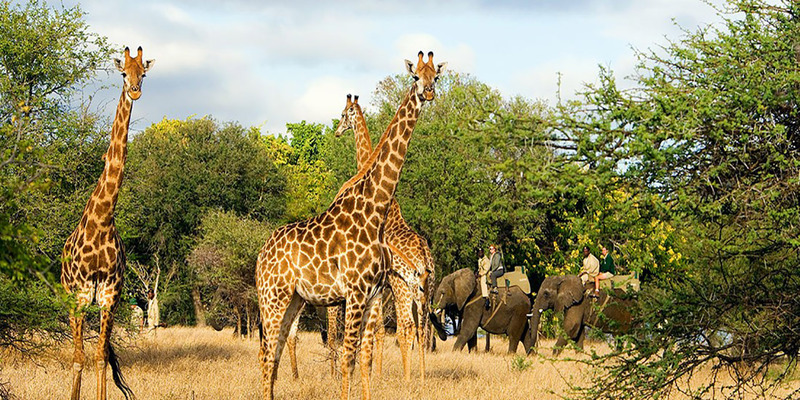 In the Kapama Game Reserve you can arrange for a walking guided safari or go for game drives with the Camp Jabulani rangers throughout the day. 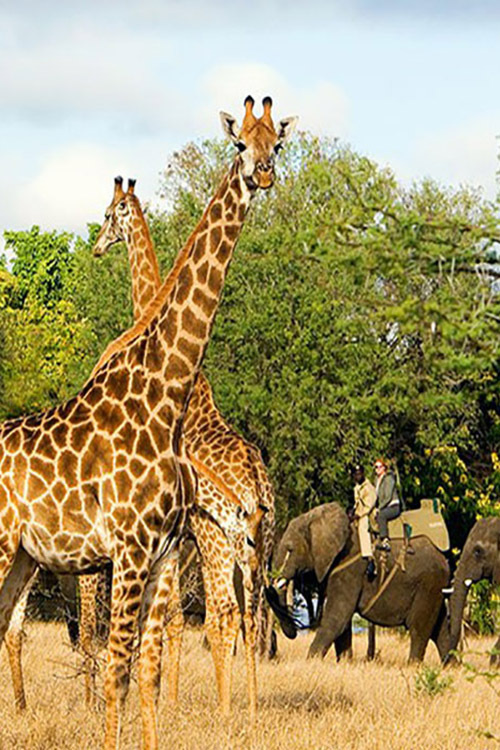 Discover the Big Five…the elephants, lions, buffaloes, rhinoceros, leopards along with giraffes, impala, blue wildebeest, kudu, cheetahs, hyenas and the rare Gymnogeg and the Knob-billed duck. You can also visit the Hoedspruit Endangered Species Centre, a private research and breeding facility for endangered species. The herd of elephants in Camp Jabulani are provided the utmost care with a total of 42 team members looking after their welfare including handlers and caregivers consisting of grooms, stable hands, and elephant masters. Most of the staff are from Zimbabwe which is also where all the elephants came from except for Jabulani and the other calves born in the camp. The elephants rest in the stables at night and are supplied with abundant food and water. 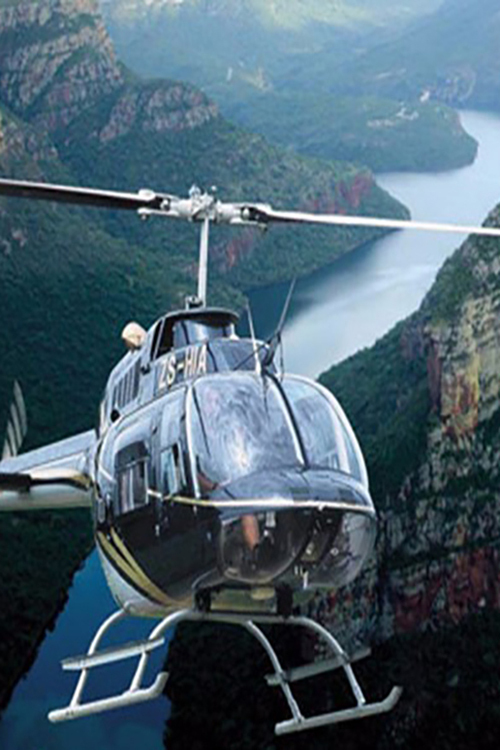 The adventures go on with thrilling helicopter flights throughout the region. 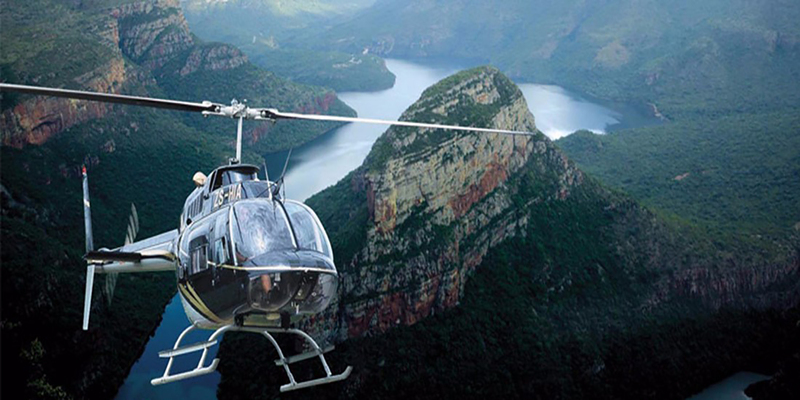 Get a bird’s eye view of the magnificent landscape, the bushveld, mysterious gorges, and rivers. Catch sight of the cascading waterfalls and dramatic rock formations of the Blyde River Canyon. 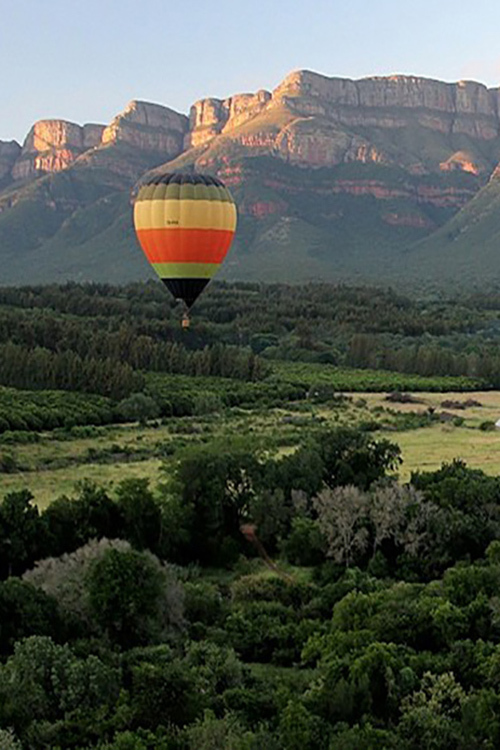 You can also hover over one of the best vistas you’ll uncover at the Mpumalanga Lowveld…God’s Window. These are breathtaking panoramas you can enjoy on a helicopter ride when your visit Camp Jabulani. 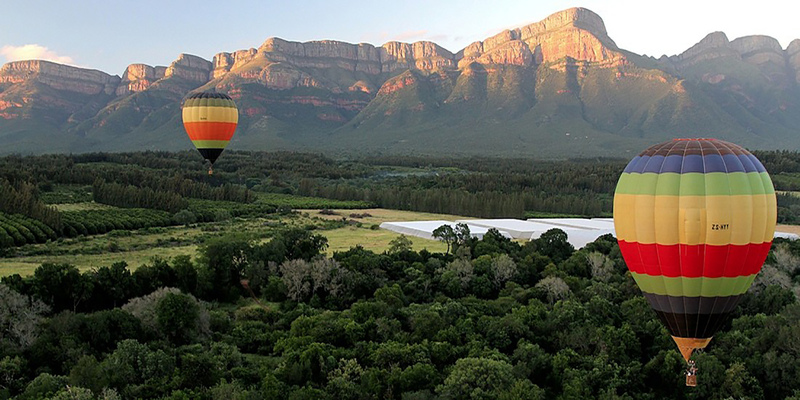 As it turns out you can also ride a hot air balloon on your African luxury safari at the Zindoga Villa in Camp Jabulani. Imagine being lifted by an eight-story balloon. As you ascend from land you marvel at the awe-inspiring terrain. You’ll see the Lowveld section of the Blyde River, private nature reserves, wildlife estates and farmlands. 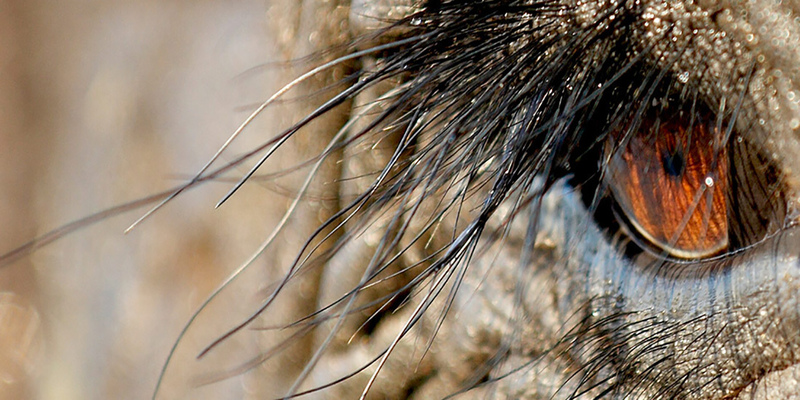 And there are even times when you can spot the giraffes and the wildebeests on the plains. The Zindoga Villa includes a central lounge with a fireplace plus a butler’s kitchen. 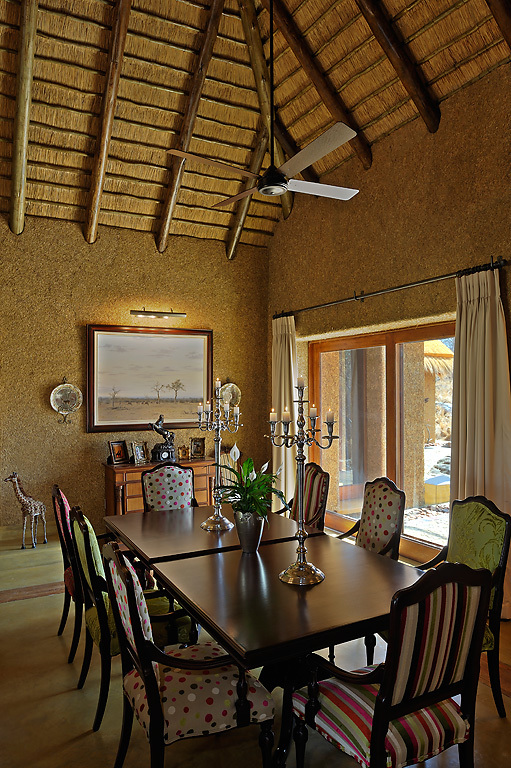 It is a thatched roof luxury villa in the bush with wood furnishings blended with organic elements and patterned fabrics in floral and animal prints. Not only that, the exclusive use abode has Wi-Fi access as well as a dedicated team and is serviced by a butler, a chef along with a ranger with a private vehicle. Living at the Zindoga Villa in Camp Jabulani you have a secluded retreat in the African bush at the Kapama Game Reserve. And in this luxury villa in the wilderness you have an expansive wooden deck along with a plunge pool. Privacy is assured as the place is surrounded by thick foliage and you can take pleasure in the scenic view while stretching out on the cushioned sun lounger. The two self-contained units at the Zindoga Villa are its deluxe suites with spacious bedrooms. Both of which are connected to a communal lounge and dining area. 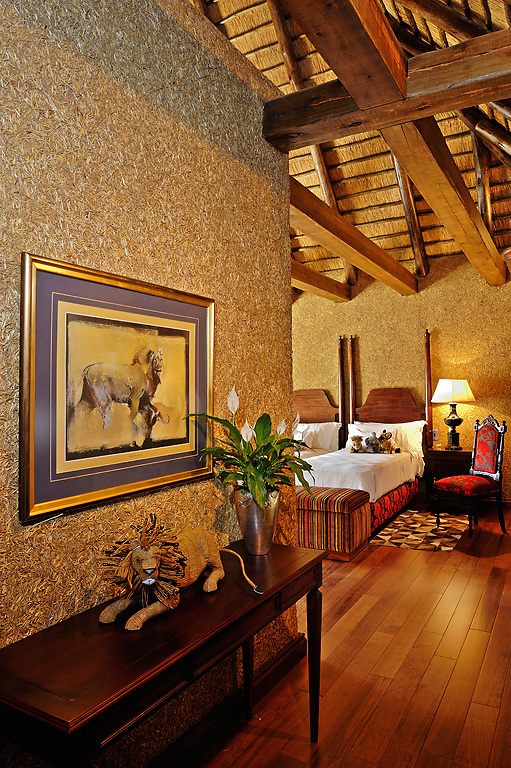 One of the suites includes an adjoining twin bedroom plus a private bathroom which can be shared by two children. The sophistication of a luxury villa situated in the bush displaying classic aesthetics, it is a cozy and inviting residence that features five-star comfort and conveniences. The Zindoga Villa is designed with open plan living spaces featuring refined elegance. 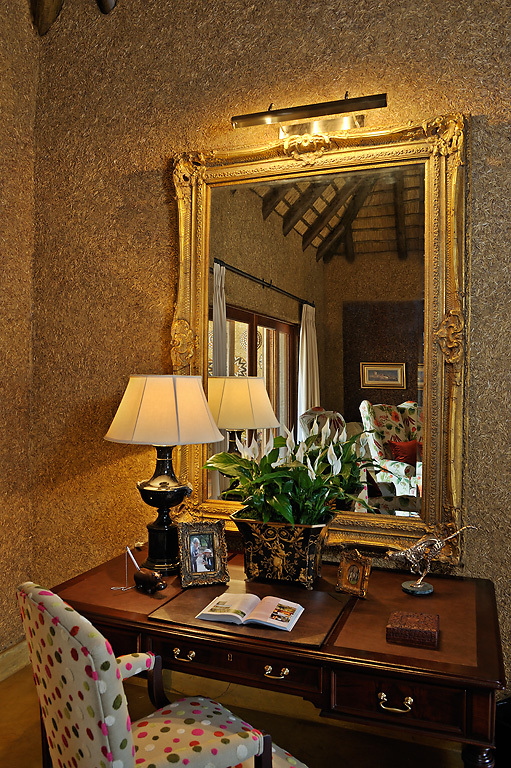 Interiors are in rich textures with lavish furnishings along with a contemporary arrangement. 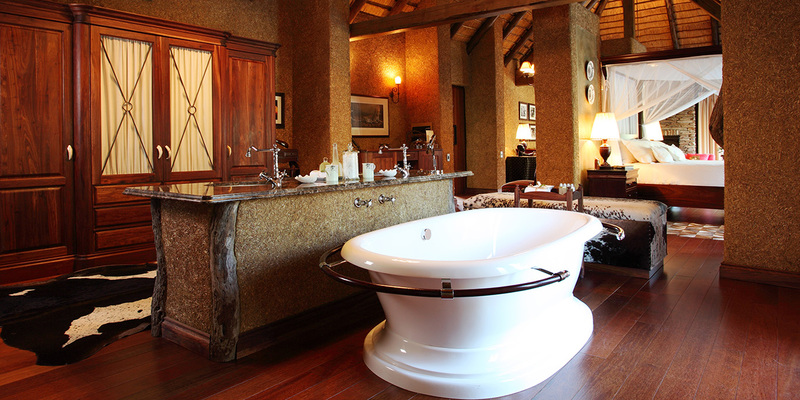 Bathrooms en suite plus glass enclosed showers are in each of two self-contained suites. Every part of this beautiful luxury villa is created in harmony with the natural environment. Light as well as air flow indoors bringing a touch of the outdoors and a promise of great comfort. Enjoying the water and taking a dip anytime you wish is up to you at Zindoga Villa. And given that you can access the plunge pool from your bedroom, you can go for a swim even before bed time. Think of it this way, unwinding in a private heated plunge pool in the evening before you sleep help soothes the body after a day of exploring the African bush. After your encounters with the elephants and the other creatures of the wild, you come back to the Zindoga Villa at Camp Jabulani. This exclusive residence in the Kapama Game Reserve is where you will end your day after exploring Hoedspruit and experiencing the raw beauty of South Africa. Get comfy as you settle in to rest and recharge. It was an exhilarating day and you can’t wait for tomorrow as another adventure awaits. 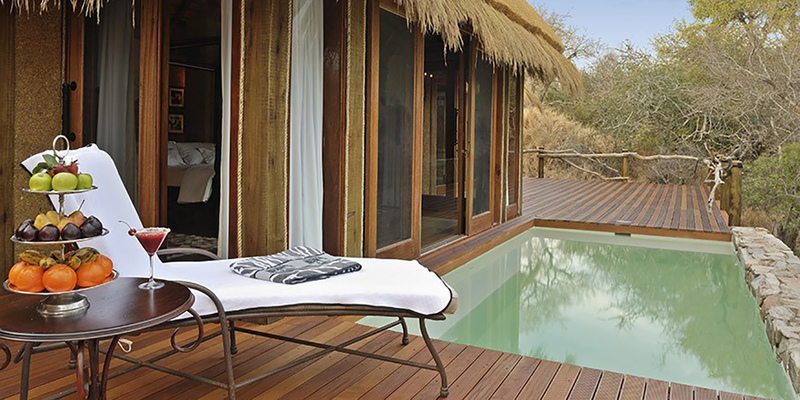 The Zindoga Villa is a secret sanctuary set in Camp Jabulani. It is absolutely a must-see destination in South Africa. The Kapama Game Reserve is absolutely beyond compare. 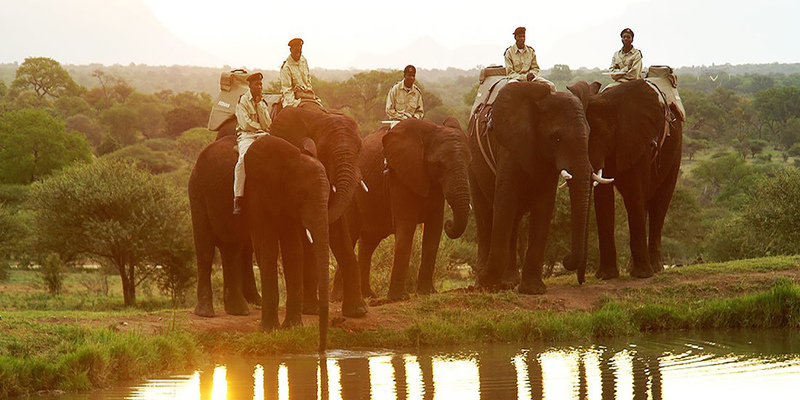 You’ll be captivated by the phenomenal setting, in awe with the elephants and other wildlife, delight in the thrilling adventures, and will appreciate the excellent service they offer. With all these there is no wonder they say visiting Camp Jabulani is a life changing experience.